Donated to the museum by Angela Wirepa. 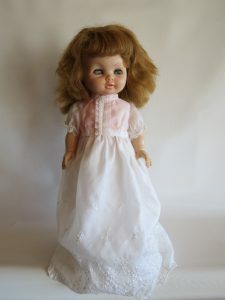 The doll had been given to her as a Christmas present from Angela’s parents. Still Clothed in original wedding dress.